Interested in linking Websites to Air Padre? Interested in linking to Air Padre Kiteboarding? Copy the code below and put it on you website. Then email us the link along with your information that you want to put on this page. Keep in mind that we will refrain from link exchanges with business that are unrelated, we are looking for relevant websites that our customers can utilize. Air Padre Kiteboarding - Kitesurfing Equipment Store on South Padre Island, Texas Offering Kiteboarding Lessons, Camps, Repair and Water Sport Rentals. SPI Kite Round-Up - Kiteboarding event on South Padre Island Texas; Equipment demos, Competitions and Clinics. 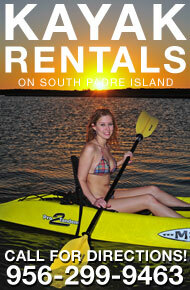 South Padre Island Water Sports - Water Sports Lessons and Rentals on South Padre Island, Texas. Used Kiteboarding Gear - Buy or sell your used kiteboarding and kitesurfing equipment and gear here for free. B & S Kites - Huge kite store, offering stunt kites, competition kites, spinners, etc. South Padre Live Web Cams - Real live beach cameras on South Padre Island, Texas. South Padre Property - Realty Executives of South Padre Island. Padre South Hotel - Beach front hotel on South Padre Island, Texas. Southern Wave - Catamaran perfect for snorkeling, dolphin watches, or South Padre sunset dinner cruises. South Padre Island Bay Fishing - Danny B Charters offers a fun, exciting, and productive day of bay fishing on SPI. Wainman Hawaii - Rabbit Gang kite manufacturer based on Maui, Hawaii. Slingshot - Slingshot kiteboarding kite and wake manufacturer base in Hood River, Oregon. Ozone Kites - Ozone Kites USA is a rider driven company solely dedicated to creating the best kites. Best Kiteboarding - Best Kiteboarding provides exceptional products, service, and prices. Dakine - Dakine creates accessories, backpacks, and harnesses for kiteboarding. GK Kites - Globe Kites and Litewave boards. Surf Canarias - Surf school and surf camp in Lanzarote, Spain. Guanahani Beach Club Resort - Beach club resort, surf & sail center in Guanahani, Bahamas. Texas Nature Kayaking - Teaching you to quietly glide up to nature and become a part of it. Stand Up Paddle Boards by Tower - Stand Up Paddle Surfing (SUP) shop in San Diego, California.